Bring the warm glow of Venice into your home when you light up a candle on this delicate artistic Murano Glass candle holder. 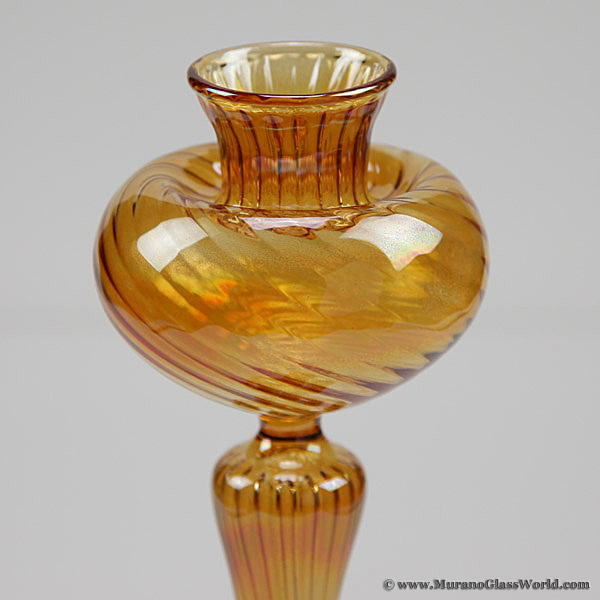 A fine example of the famous Murano Glass artistic tradition, this rare Venetian candlestick combines delicate amber-colored glass of exceptional quality with beautiful shape and uniquely twisted surface achieved using soffiato technique where glass is blown and surface is hand-molded. This candle holder is much more than a functional piece of home decor, it is a piece of art created by Murano masters whose work is displayed in museums and private collections worldwide. It is translucent, delicate, and almost weightless as only authentic mouth-blown Murano Glass can be. The candlestick has an attached sticker proving its authenticity and origin and is also accompanied by the certificate of authenticity. Exquisite Venetian candle holders featuring ancient glass-making techniques make a perfect gift for anyone with appreciation for European flair and Italian style. 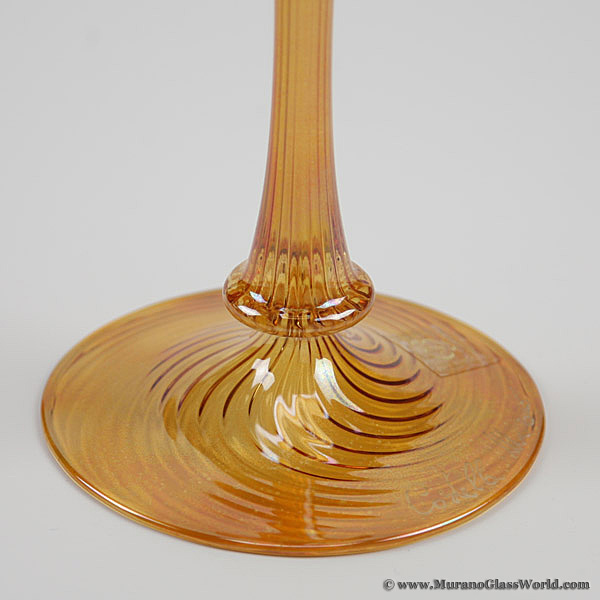 The Murano Glass Candlestick is 9 1/2 inches tall and its base is 4 inches in diameter.